You're probably here because you know that time is the only real currency we have. "Join the doers..." A gift voucher is your opportunity to help create a memory that will last forever. 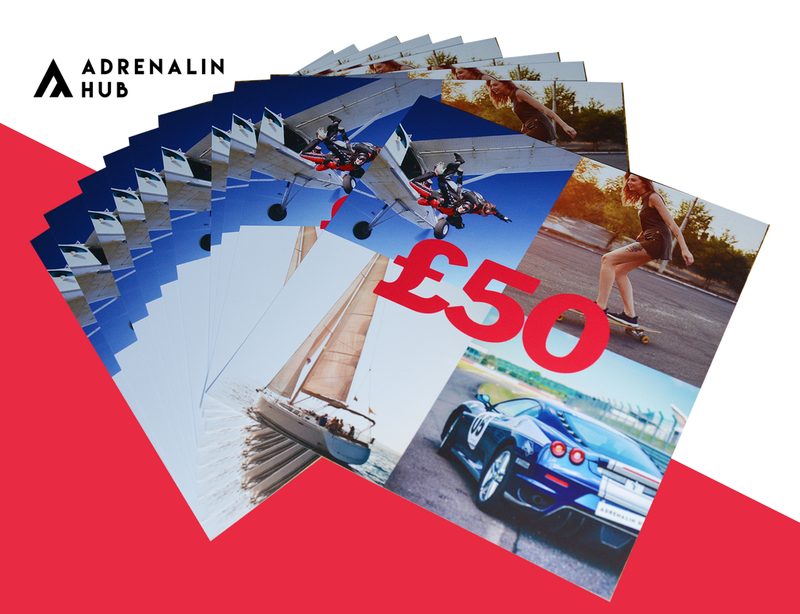 Our tasteful gift vouchers are the perfect solution for those hard to impress people and are unique gifts for birthdays and Christmas. Gift them the time to try something refreshingly new - the laughs, the giggles, the photos and memories will last forever. 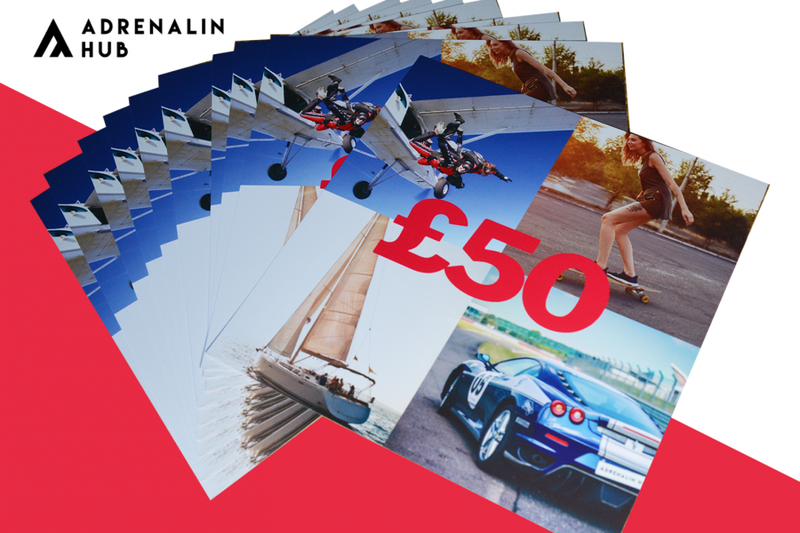 Each of our gift vouchers is sent along with one of our free gift packs. 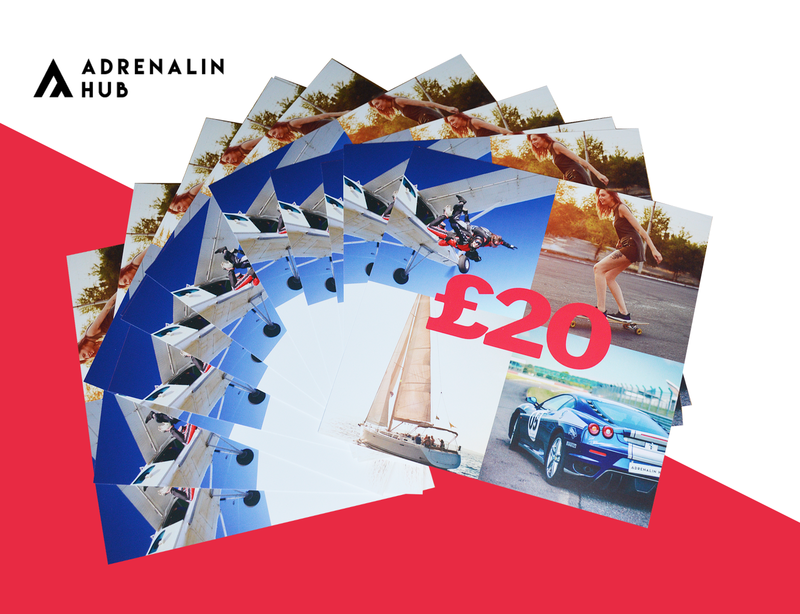 A tasteful, one of a kind gift - Adrenalin Hub. 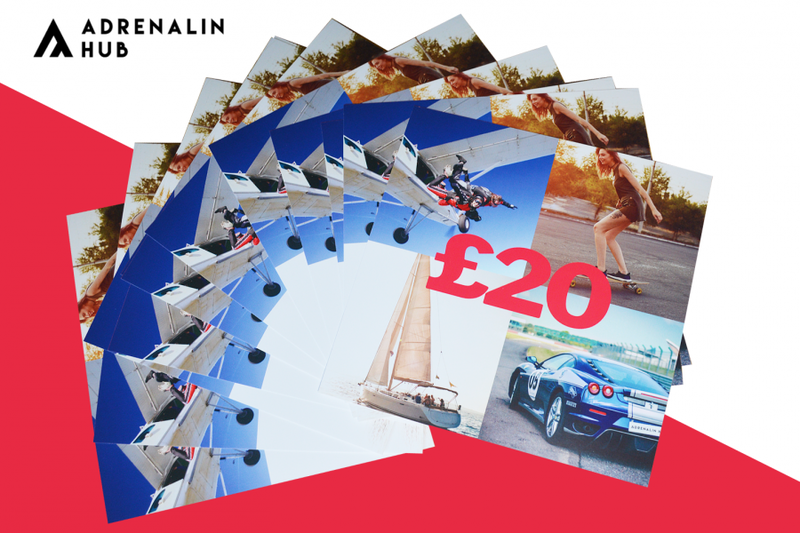 We only have images for £20 and £50, the voucher will be in denominations of 20 and 50. Free gift pack and free delivery with all gift vouchers. Redeem against any experience we offer up to the value of the voucher. Unfortunately we cannot give change if your experience is less than the experience cost price.